Relocating to a new house is stressful enough without having to worry about the logistics of an entire move. 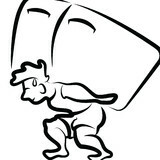 So when it comes to the heavy-lifting (literally), leave it to the professionals — professional movers, that is. Experienced Englewood, OH moving companies consist of expert movers and packers who can efficiently pack, move and assemble your Englewood belongings to ensure that you get off to a good start in your new home! We are a "Labor-only" moving help company. We do not own trucks or storage areas. 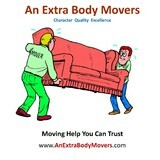 We assist personal, residential, business and industrial self moving clients. Our special projects include shelving assembly, workstation assembly, hotel mattress replacements, estate inventory, in-dwelling rearrangements and so on. 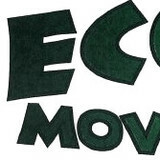 Economy Moving & Storage is a Cincinnati-based moving company that prides itself on being the most qualified and careful residential and home movers in the area. Able to do both long distance and local jobs, they aim to keep moving prices down and provide a full range of services.Visit our website for more information! We are a full service mover offering a great service at affordable rates. We handle all size moves from 1 piece within the home or a large home with packing and un-packing. We also offer delivery service. 4With Company prides itself on being the go-to choice for clients looking for Furniture Installations, Office Moves and Commercial Movers services. Muve is revolutionizing the moving industry by providing a simple, easy to use platform that allows people to get their things moved on-demand for a fraction of the cost of expensive traditional moving companies. Our primary focus is on micro-moves, so if you’re out-and-about and happen to make a purchase from Craigslist, eBay, yard sales, furniture stores, etc, we’ll be there to help you get it to where it needs to go. 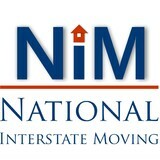 We are a local and long distance moving company. Commonwealth Inc. 11013 Kenwood Rd Cincinnati, OH 45242, United States 513-791-1966 sales@commonwealthinc.com <a rel="nofollow" target="_blank" href="http://commonwealthinc.com">http://commonwealthinc.com</a> Commonwealth Inc offers a wide variety of shipping services for individuals and businesses. The company is headquartered in Cincinnati, OH with locations for your convenience in Blue Ash, Fairfield, Tri-County, and Saint Bernard, OH. Commonwealth Inc is more than a warehouse or shipping service; it's a full-serve logistics company providing public and commercial warehousing, freight shipping, and more. As a leading provider, the company offers comprehensive logistics strategies that will be cost-effective for your business.Why Commonwealth Inc? They're majorly committed to being an effective, dependable partner in business. Because the company is family owned and operated, the company culture and mentality is one that takes pride and accountability in the services they provide -- as well as in the effectiveness of the team.Their mission statement emphasizes that very commitment to their customers’ satisfaction: "We strive to partner with our clients while creating and implementing cost-effective solutions to all of their logistical requirements. As highly trained professionals we seek to achieve this through honesty, integrity, and dedication.” These principles hold true in the quality of the services they provide as well as the dedication of the team to their customers.To find effective logistics solutions for your business, partner with Commonwealth Inc. Visit them online to learn more, or call (513) 791-1966.